Successful portfolio management is about more than just picking the right mutual funds. It requires a coherent understanding of the portfolio management process beginning first with an honest assessment of one’s current financial situation and long-term goals. Whether you are investing solo or through a registered advisor, the portfolio management process entails five essential steps. Following these steps ensures that your long-term goals are protected regardless of the market cycle. Let us go over this process and see how mutual funds fit here. 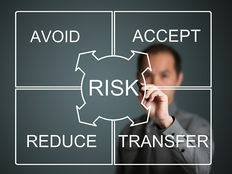 Check out our Practice Management section to know more about different ways to grow your financial advisory business. The first step in the portfolio management process is assessing one’s current financial situation and long-term goals. Goals need to be clearly defined and quantified to bridge the gap between investors’ current situation and where they want to be. 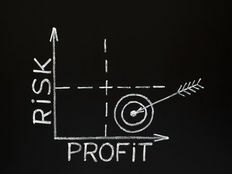 Step two involves creating clear investment objectives, which means identifying the risk-return profile. Understanding how much volatility an investor can withstand will determine the asset selection strategy. It can also help set realistic expectations about how much their portfolio will earn over a forecast period. Click here to know five important tricks that you can learn from a portfolio manager. The third step of the portfolio management process is determining asset allocation. This step naturally flows from the first two because the investor’s starting position and risk-return profile will determine the combination of assets they select for their portfolio. 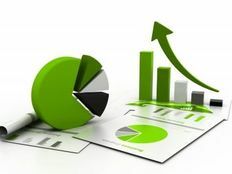 Here, the investor or portfolio manager will assign percentages and weightings to various asset classes, such as stocks, bonds, alternative investments, and cash. Does the investor prefer active or passive management? How aggressively are they pursuing short-term returns? These questions will help answer step four of the portfolio management process – namely, selecting investment options. The fifth and final step in the portfolio management strategy is measuring performance and rebalancing where necessary. A portfolio’s performance should be assessed in regular intervals, such as quarterly or annually. This review determines if the investor is on track to meet his or her objectives and, if not, what steps need to be taken to shift course. Don’t forget to check out this article to learn more about the core-satellite approach of portfolio construction. Although there is no one-size-fits-all model for successful portfolio management, mutual funds have been shown to play a stabilizing role in the investment process. Regardless of an investor’s underlying goals and objectives, there is probably a mutual fund out there that matches their risk-return profile and asset allocation needs. Consider that, in the United States alone, there are more than 9,300 mutual funds available as of 2017. Very few asset classes offer the same level of flexibility. This huge selection of mutual funds also guarantees that an investor will meet his or her asset allocation requirements. Mutual funds have a built-in diversification mechanism that allows investors to access virtually any type of financial asset, sector or region. This includes access to dividend income. Diversification is a core tenant of long-term value investing. The majority of mutual funds geared toward meeting long-term investment goals are liquid investments, which means they can be bought and sold with relative ease. This translates into easy access to your money, simple cost-averaging over time and the added convenience of changing funds without trading fees provided they are from the same family. Be sure to read this article to know how factor investing can play a key role in portfolio management. Mutual funds are also ideal for tax management because they are eligible for registered accounts, such as 401(k) plans. This makes them ideal for long-term retirement saving. Since mutual funds are managed professionally, investors never have to analyze their investments actively. While this doesn’t preclude monitoring a portfolio’s performance, investors can save countless hours of research by simply selecting the best-performing mutual funds and then relying on the issuer to adjust the holdings when necessary. Be sure to check our News section to keep track of the recent fund performances. Understanding the tenants of portfolio management can help investors access the markets with confidence and clarity about where they are going. By pivoting to mutual funds, they can enjoy numerous benefits such as diversification, tax savings and simplicity.